Phosphene Productions is an Austin, Texas based independent music production company focused on recording, mixing, and mastering of individual artists and bands. Lets be honest, as an artist your focus should lie with writing music, performing and selling your merchandise. And with album production being the daunting task it is, we aim to de-mystify the process by both providing transparency as well as taking the load off the artist. We are dedicated artists ourselves aiming to help musicians achieve their dreams and goals while providing services at competitive rates. Simply put, we cut out the record label and make recording an affordable and profitable endeavor. Here at Phosphene Productions we offer musicians a variety of services to both capture and distribute their artistic work, while providing a high-quality recording space, talented and dedicated engineers, and all the resources necessary to 'make-it' in the industry. Hiring an engineer/producer could very well be the most important decision you will ever make for your band. When the majority of your audience will be streaming your songs over the internet, and downloading them to mp3 players and smart phones, it is vastly important to present a solid recording of your song to impress and entertain. If you expect them to keep listening and to bother to go to your show (and pay the ticket/door price, I might add! ), you'll definitely want to give them something good to listen to. At the end of the day we're music lovers and artists here to make great music with musicians who are dedicated and love what they do. as by pressure applied to the eyeball by the finger when the lid is closed. Here you can take a tour of our recording studio from the comfort of your own couch. Contact us today to book a personal tour of the facilities! Jakob Mantei was born into a musical family. His great-grandfather played jazz piano with 1920's dance bands; his grandmother and mother were both professional musicians and singers. His exposure to a wide variety of music genres created an understanding and appreciation of many styles, ranging from folk and jazz to classical and rock 'n' roll. By the time he was 9 years old Jakob's talent for performing was also apparent, and in fourth grade he learned to play the violin. At age 14, he expanded into playing the guitar and bass. After a couple of years of self-instruction, his parents placed him into lessons with a professional guitar teacher. In high school, Jake formed a band and competed in a "battle of the bands" competition. During this time, he became interested in recording his own original music and set up shop in his home at age 18. The seed for Phosphene Productions was planted. Jakob's passion for learning the details of sound engineering was inspired by Geoff Emerick's book about his experiences recording the Beatles. The artistry of music, combined with the technical aspects of preserving it, were a welcome challenge. 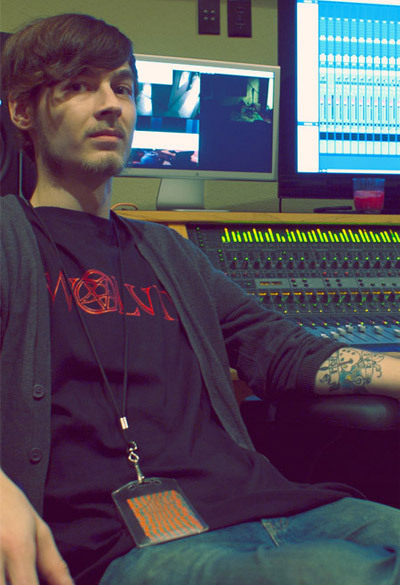 Jake began looking into a career in the recording engineering industry and independently learned everything he could. In 2011 he enrolled at the Recording Conservatory of Austin (Texas) for formal training. 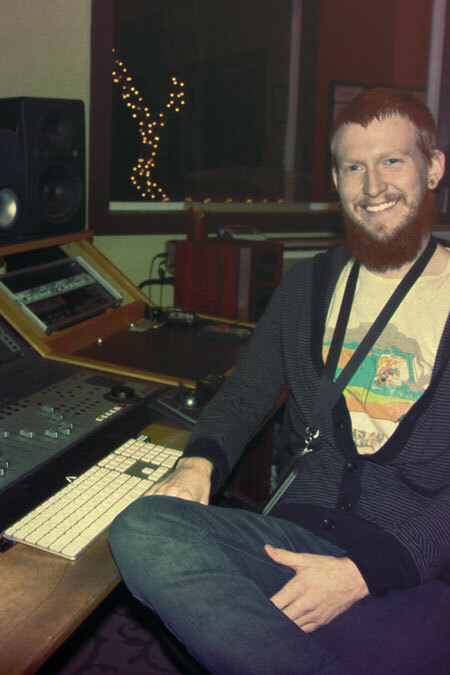 Jakob and his business partner, Carter Greeves, began Phosphene Productions with the goal of assisting musical artists in their pursuit of creating high-quality audio recordings at affordable rates. Phosphene Productions provides professional production in an aesthetically comfortable, state-of-the-art studio in Austin, Texas - the "Music Capitol of the World". Canadian-born recording engineer Carter Greeves was introduced to the world of music at a young age. Some of his earliest memories are of watching from the side of the stage as his father's band played local events in their hometown of Calgary. With that beginning, it doesn't come as much of a surprise that Carter ended up in the music business. When not in the studio Carter enjoys spending his free time playing one of his many instruments or engaging in other artistic pursuits, such as drawing, painting or illustrating posters. Carter enjoys listening to a wide range of musical genres and styles, bringing a diversity of influences to the recording process. In 2012 Carter and Jakob founded Phosphene Productions, an Austin, Texas-based independent company offering professional recording, mixing, and mastering services at band-friendly rates.